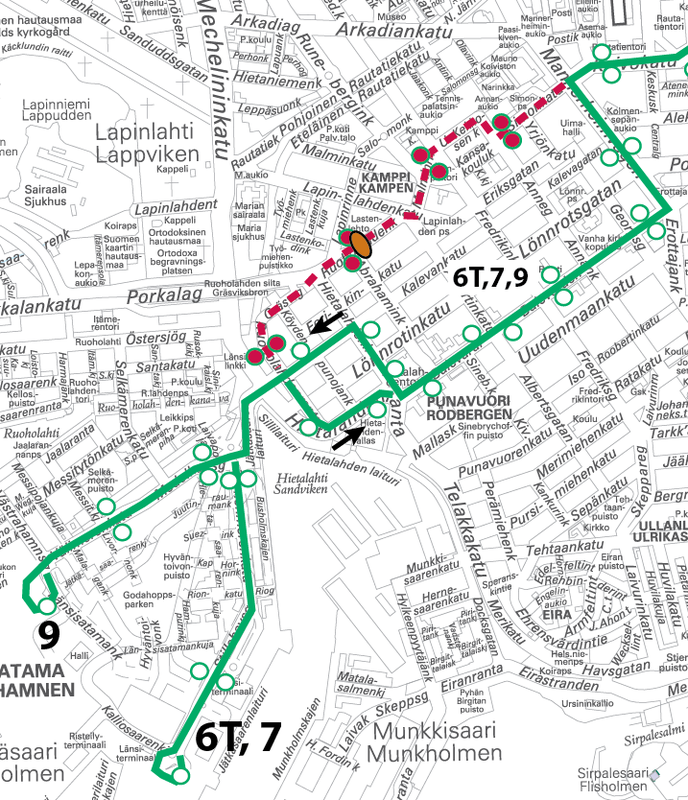 Trams 7 and 9 will be diverted from Saturday 10 November to 5am on Monday morning 12 November due to excavation works on Ruoholahdenkatu. The trams will run via Bulevardi and Hietalahti, Kamppi will not be served. The following stops will not be served: "Simonkatu", "Kampintori", "Ruoholahden villat" and "Länsilinkki". On tram route 6, all services will be operated under route number 6T to the West Terminal (Länsiterminaali).